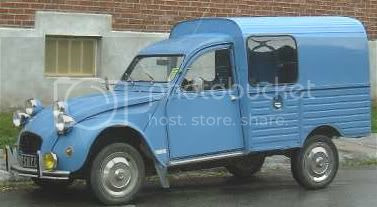 I fell in love with old Citroen2CV, I saw in a show once. I think it would be great to tool around town in. Well my dream car is an oldie I want a Doosenburgh. Good luck to all that play the game!!!! the latest and greatest gold wing on the market with all the bells and whistles. Clue: It ryhmes with hugo. I've picked up hollywood models with this beauty. Are you kidding me? Hot!!!!!!!!!!! Wouldn't buy a car. Rent one - with a chauffer to drive it. Why should I put my self into the same situations, with the same idiots, that I put up with now? A chauffer driven car can get me to the broadway plays, in NYC, a lot faster than a Jaq or Bentley driven by me. A chauffer driven car can be waiting anywhere in the world, when my rent-a-jet lands. A chauffer driven car can be changed out, based on my mood. No registration, no insurance, no hassle. You said it. This is my husband's dream car. It's a 1960ish Jaguar. This car just screams for goggles, a leather jacket and a rakish coat. If you buy an expensive new car and put plates on it that say "MegaMillionaire", you may become a target for many, many Law Suites. 2006 Hyundai Azera.. man,, i sat inside one.. i got aroused. 0-60 in 6.5 seconds.. Then Illl buy a 2006 Hyundai Sonata and buy a Supercharger Kit and dress it up nicely. My License plate is going to say "POBOY"
Not if you form an LLC and let it own everything. You just draw a wage and have an expense account. No suit can get what isn't there.